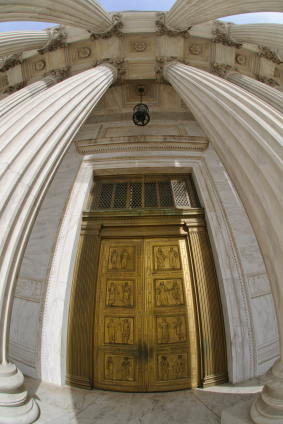 Yesterday, the Supreme Court announced that it will hear the case of Jackie Hosang Lawson and Jonathan Zang, two former Fidelity employees who seek to reverse the dismissal of their Sarbanes-Oxley whistleblower claims. In this post last week on Suits by Suits, we outlined Lawson and Zang’s petition to the Court and described the long odds that petitioners face when they ask the Supreme Court to review their cases. The U.S. government also didn’t do Lawson and Zang any favors when it told the Court that it shouldn’t take their case. Now that Lawson and Zang have bucked the odds, they might be feeling like they bought that lucky PowerBall ticket. Section 806 of the Sarbanes-Oxley Act, 18 U.S.C. § 1514A, forbids a publicly traded company, a mutual fund, or “any ... contractor [or] subcontractor ... of such company [to] ... discriminate against an employee in the terms and conditions of employment because of” certain protected activity. (Emphasis added). The First Circuit held that under section 1514A such contractors and subcontractors, if privately-held, may retaliate against their own employees, and are prohibited only from retaliating against employees of the public companies with which they work. Is an employee of a privately-held contractor or subcontractor of a public company protected from retaliation by section 1514A? To prevail, Lawson and Zang must convince the Court that the answer is yes. In other words, the Court must find that even though Lawson and Zang were employees of privately-held contractors (the Fidelity investment advisors who managed public mutual funds), they can still seek the protections of Sarbanes-Oxley’s whistleblower retaliation law. Lawson and Zang’s case also presents an interesting conflict between the federal judiciary and the Department of Labor’s Administrative Review Board. As we explained in our prior post and as the Court’s question presented acknowledges, the U.S. Court of Appeals for the First Circuit found that Lawson and Zang were not protected by Sarbanes-Oxley. But the Department of Labor – the agency charged in the first instance with enforcing that whistleblower law – has now ruled in a different case that Sarbanes-Oxley can shield employees of privately-held companies from retaliation. Which analysis will the Supreme Court agree with? And what will the Court tell us about the deference that must be given to the Department of Labor’s analysis? The DOL's recent track record isn't great for Lawson and Zang: just last year, in Christopher v. SmithKline Beecham, the Court refused to defer to its interpretation of the Fair Labor Standards Act, holding that the Department's take was "preceded by a very lengthy period of conspicuous inaction" and was "flatly inconsistent" with the law. Here at Suits by Suits, we’ll be tracking the briefs and argument in Lawson as they occur.